Hair is not the most obvious place to map out the cultural history of a nation, but it is surprisingly one of the most telling. In the past decades of America&apos;s progress and tumult, one of the the more fascinating transformative sites for the ebb and flow of our culture is the human head itself. Whether it&apos;s the more popularized hairstyles of a given decade by virtue of famous film stars, reactionary styles in response to political or social movements, or simply the bizarre, tracking America in the ways in which we&apos;ve worn our hair is as enlightening as it is entertaining. Let&apos;s have a look. Beginning to move away from the restrictive fashions of the Victorian Era, women started to embrace lax styles that were more full and free-flowing — of course, with a few Victorian relics. During this decade, both longer and shorter hair fashions were popular. Longer hair was characterized by a distinct middle part with hair falling below the shoulders. Shorter styles, like the Gibson girl, might best be characterized as "updos" that used a lot of barrettes to hold things in place. 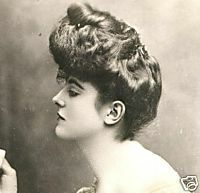 Other than the Gibson girl, the "topknot" was popular for many American women. Madam C.J. Walker revolutionized how many African-American women styled their hair in the 1900s after she introduced the world to her line of hair products, including "Wonderful Hair Grower," which made the "press and curl" style popular and accessible. Walker was the first African-American woman to become a self-made millionaire in America. 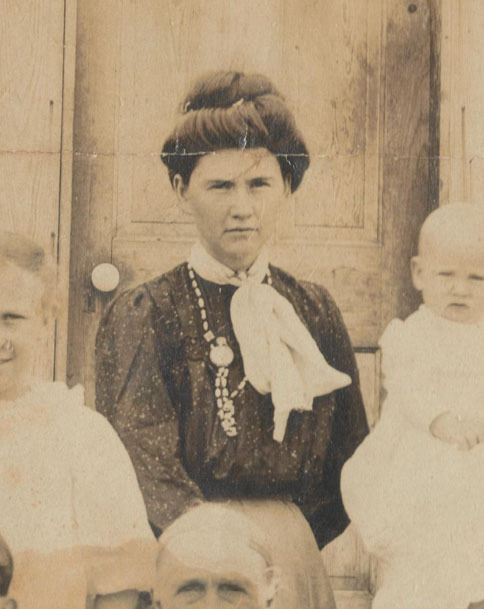 The styles of the early 1910s were not markedly different from those worn at the turn of the century, but Irene Castle was the first to change that. 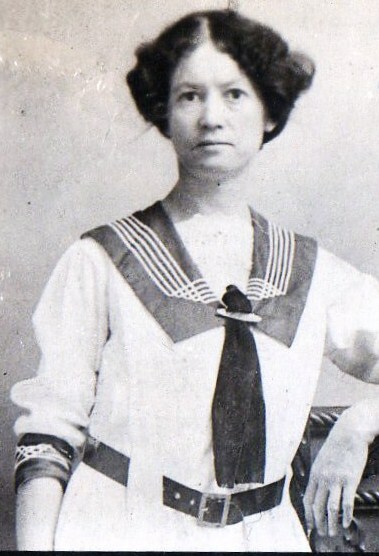 The famous American ballroom dancer notoriously chopped off most of her hair in 1915, creating a style that came to be known as the Castle bob. This cut paved the way for what we now know simply "the bob." It also heavily influenced the Flapper styles of the 1920s. The Castle wasn&apos;t the decade&apos;s only popular look, though. There was also "curtain hair," where hair was cut short but parted dramatically down the middle. The hair of the Flapper Years or the Roaring Twenties can be summed up in one style: the bob. The bob was not just a popular look it was a political statement, marking a woman as independent, progressive and liberated. F. Scott Fitzgerald even wrote a story about the rather controversial hairstyle titled, "Bernice Bobs Her Hair." It doesn&apos;t cast the bob in a good light, though. In the story, Bernice is tricked into bobbing her hair, all men lose interest in her, and she seeks retribution by cutting off her cousin&apos;s long braids while she sleeps. Sounds like Fitzgerald wasn&apos;t ready for the new feminine style. With the rise of Hollywood, the 1930s was a decade heavily influenced by film&apos;s dramatic styles and its stars like Jean Harlow. 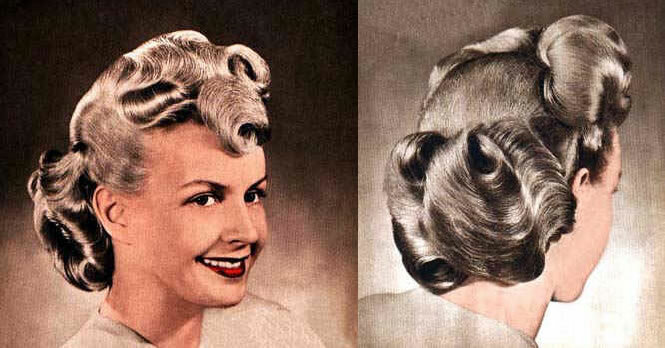 Think lots of pin curls and attempts at perfecting the Marcel wave (popularized with the use of the curling iron). Up until this point, men&apos;s hairstyles were largely the same as they had been when compared to the beginning of the century, except moustaches were no longer en vogue. Following the high drama of the 1930s, hair relaxed a bit for American women with softer curls in the 1940s. Movie beauty Veronica Lake became to the 1940s what Jean Harlow was to the 1930s. 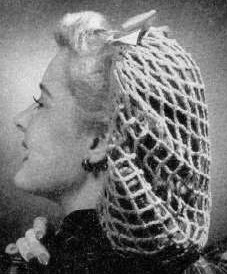 The decade also made heavy use of snoods — nets worn around one&apos;s hair. In response to the war, victory rolls became a popular style worn by the likes of Lucille Ball. 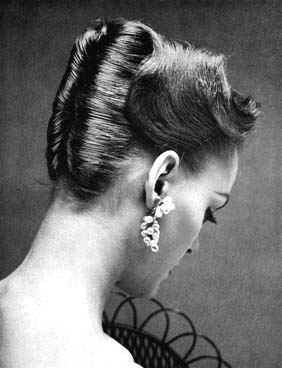 In this decade, the white gardenia Billie Holiday wore in her hair was a trademark of her style that was copied by many. In the early 1950s, young women solidified the ponytail&apos;s place as a signature hairstyle, but as the decade wore on, the styles became far more high maintenance (e.g. the French twist). This was also the decade in which the Pixie cut was introduced. The pinnacle, though, was the constant battle between whether one wanted to look like an Audrey or a Marilyn. Audrey Hepburn had the classic fringe while Marilyn Monroe sported bombshell blond waves. The 1950s also saw the emergence of the youth subculture of Greasers for whom rock &apos;n&apos; roll was of the essence, and James Dean and Elvis Presley defined the look with their well-coiffed pompadours and ducktails. The transformation into what we consider modern was fully underway. 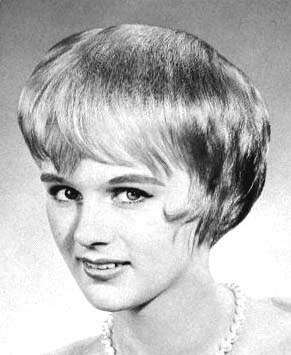 Hairstyles throughout the 1960s ran the gamut. One defining marker of the decade was that for the first time, women were hoping for straight hair. Cher was the poster girl for this trend — defining the look of the flower-child hippie fashion. 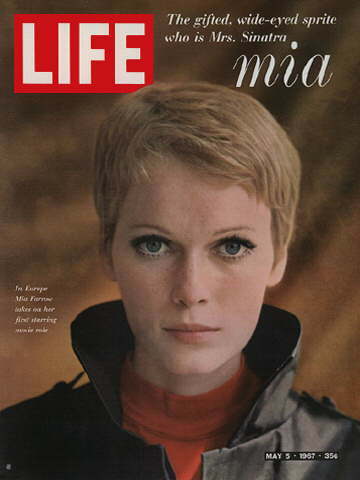 Other women chopped everything off, modeling their hair after Mia Farrow in Rosemary’s Baby. Then, of course, there were the beehive and the bouffant. The many disparate fashions were good markers of the shake-up defining this tumultuous decade. African-American women had long pressed their hair, but the 1960s saw — with the Civil Rights Movements — an emphasis on pride in one&apos;s natural hair. This ultimately lead to the popularity of the afro (see: Diana Ross, Pam Grier, Jimi Hendrix), a look that became so trendy its initial political roots became a fashion statement in the 1970s as white people began to get perms in imitation. 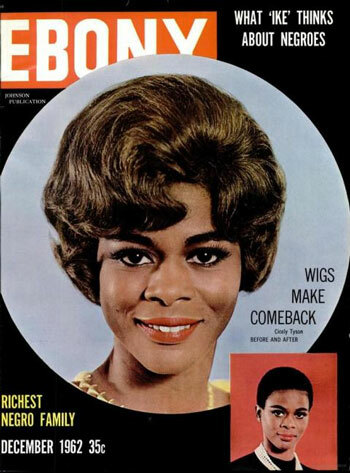 Cicely Tyson made history when she wore her hair in cornrows in 1962 on the television show East Side/West Side. Things moved from hippie to glam-rock very quickly in the 1970s with the explosion of disco music&apos;s popularity. Many women held fast to the Cher look of the 1960s, but others went for big hair made super famous by Farrah Fawcett. Movies like Saturday Night Fever emphasized the big hair look while Cabaret pointed toward the glam-rock, David Bowie, kind of style. 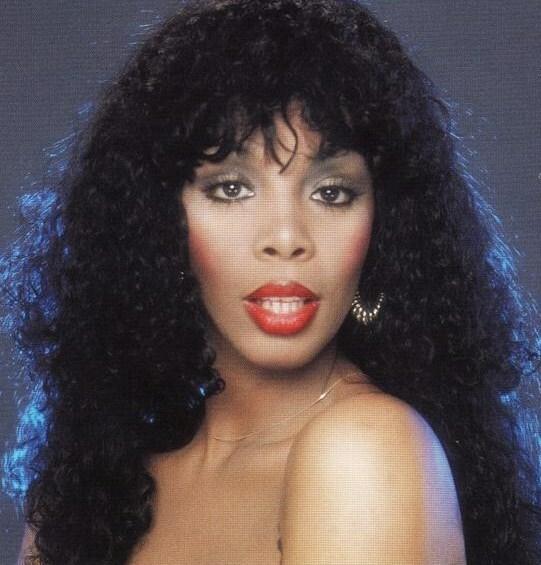 Both films had huge impacts on the era, though it is generally agreed upon that Fawcett shares the throne of hair influence with the queen of disco, Donna Summer. Meanwhile the "mop top" hairstyles of the 1960s Beatles looked entirely conservative in contrast to the Beatles of the 1970s who had fully embraced the hippie look with full beards and long hair. For men in the 1970s, facial hair was of the essence — moustaches and huge sideburns in particular. Other honorable male stylization mentions include the jheri curl and dreadlocks. The &apos;80s were all about glamour and making big statements, which meant a lot of pretty wild hair. The mullet is, perhaps, emblematic of this decade. Tennis player Andre Agassi famously sported a giant blond mullet, a trait he shared with most &apos;80s pop-rock bands. It wasn&apos;t all about the mullet, though. Grace Jones introduced the flat-top fade into popular culture with the &apos;do on the cover of her album Warm Leatherette. Princess Diana&apos;s simple and classic cut brought back a resurgence of the bob, with a feathered &apos;80s update. The &apos;80s also belonged to Madonna, and her fans followed her style changes to the T. In 1986 when she bleached her hair and styled it a la 1950s Marilyn Monroe (updated with very &apos;80s eyebrows) the trend resurgence was beginning to come full circle. One would be hard-pressed to find a stylist in America during the &apos;90s who did not know what the Rachel was, let alone hadn&apos;t attempted to master it themselves for the millions of women who demanded it. Celebrities like Whitney Houston popularized weaves in the &apos;90s for African-American women, a trend which has continued well into the present. Nineties hair could be just as big as it was in the &apos;80s, but there was a greater emphasis on hair appearing natural. With men, however, trendy hair in the &apos;90s was all over the place. There were bowl-cuts, grunge rock locks and hi-top fades. Kurt Cobain wore it best, gentlemen. The &apos;90s meant the explosion of "emo" as a fad, sparking styles that ranged from raven-black and spiked to coiffed and straightened with colored tips. On the complete opposite end of the spectrum, David Beckham introduced the world to the "faux hawk" while Victoria Beckham debuted her angular bob in 2007, setting off a trend of similarly modeled cuts across America. Generally, though, the emphasis in the 2000s was on continuing to lower the intensity with a focus on cultivating long, lavish and shiny locks. This decade is far from over, and the past four years have really been about taking older styles and updating them to fit contemporary life — bobs, long, ombre, bangs, natural hair, crazy colors. There has, however, been one defining style and for that we give credit to Justin Bieber. This is not to say he set a trend, necessarily, but it goes with little argument that in terms of talking about one person&apos;s hair, Bieber&apos;s hair-flipping locks dominated the conversation. Seeing how styles have changed, been recycled and updated says a lot about American culture and shows just how much can change in 100 years. As we sail through this decade we&apos;ll have our eyes open for the defining style of now. Perhaps this decade will get it&apos;s own Rachel or Castle. Perhaps hair will continue to get increasingly political. Whatever it is, there&apos;s a lot more to hair than just hair.